French designs and manufactures composite presses for a wide range of composite molding applications including critical component production for the aerospace, automotive, defense, medical, sporting industries and more. Regardless of your requirements, large or small, French can provide a customized press for molding or laminating your composite components. 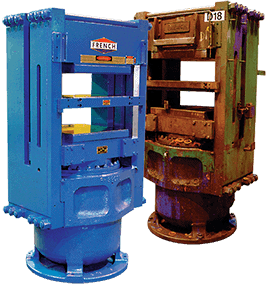 French composite presses come in upacting or downacting configurations and are typically designed with very low deflection. 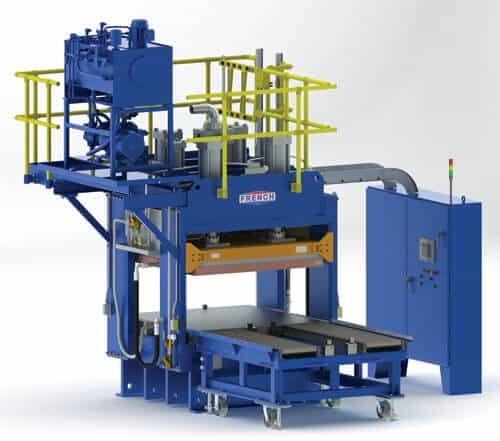 Many platen sizes and configurations are available with tonnages commonly ranging from 20 to 2,000 ton hydraulic presses. 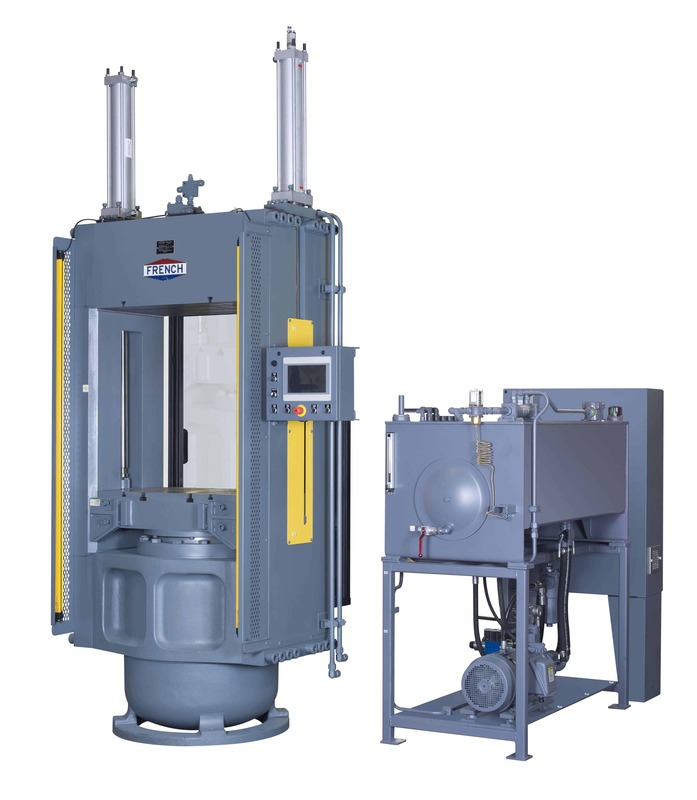 Presses can be fitted with many process improving features including, but not limited to, loading and unloading automation systems, vacuum chambers, specialized UNI-TEMP heated platens, tilting platens and advanced electrical control packages that give customers greater press control and press flexibility to optimize product quality and process performance. 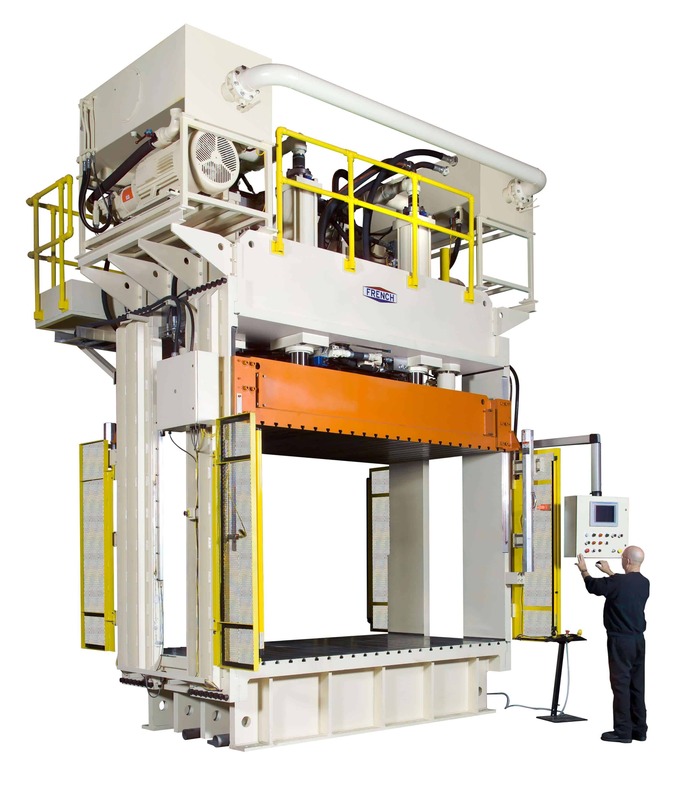 Click to see additional examples of custom built French composite presses or contact a French Sales Engineer for more information or for a custom hydraulic press sales quote.